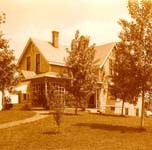 The Columbus Delaware & Marion Electric Co. right of way north of Worthington was typical of so many Ohio interurbans. There was side of the road track that followed the contour of the land. It followed alongside US 23 first on the east side, and then north of Orange Road it switched to the west side. 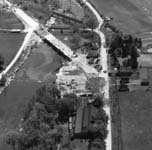 This series of photos starts at Glenmary Trestle, where Flint Road intersects US 23, and ends at Stratford a distance of about nine miles. Located on this section of the CD&M just south of Stratford is Kingman Hill which gave the southbound CD&M freight motors such a challenge. It must have been startling to drivers potting along at 35 or 40 mph to have a big interurban blow by at 65 mph. 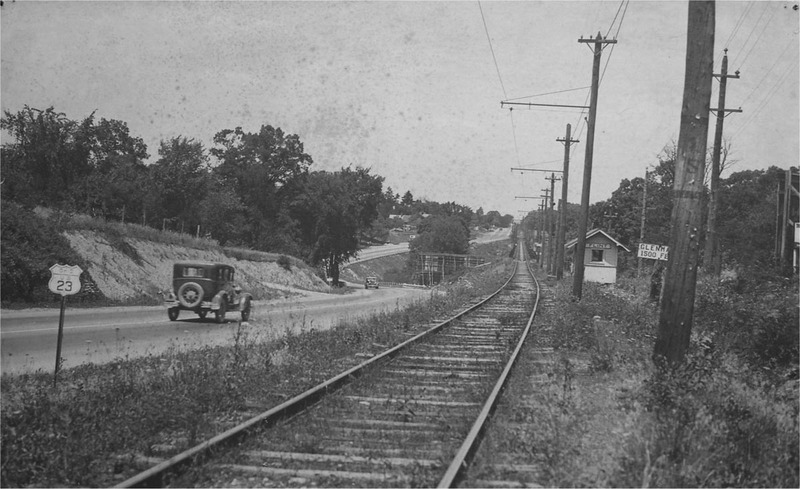 The photo above shows that even in early 1930 there weren't many autos on US 23.